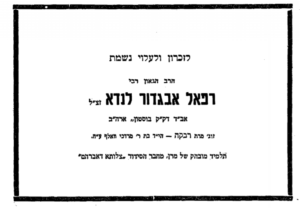 Rav Avroham Moshe Shershevsky authored Nachal Avroham which includes a collection of droshos (sermons) he deliverer in Portland. 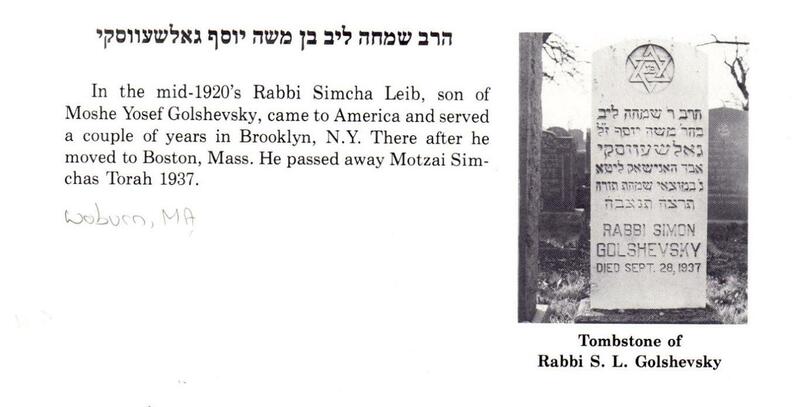 In 1898, Rav Shershevsky moved to Boston, MA where he remained until in passing. 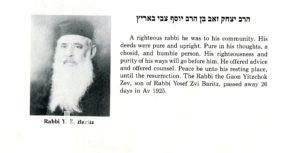 The Rav also served in Brookline and Boston. 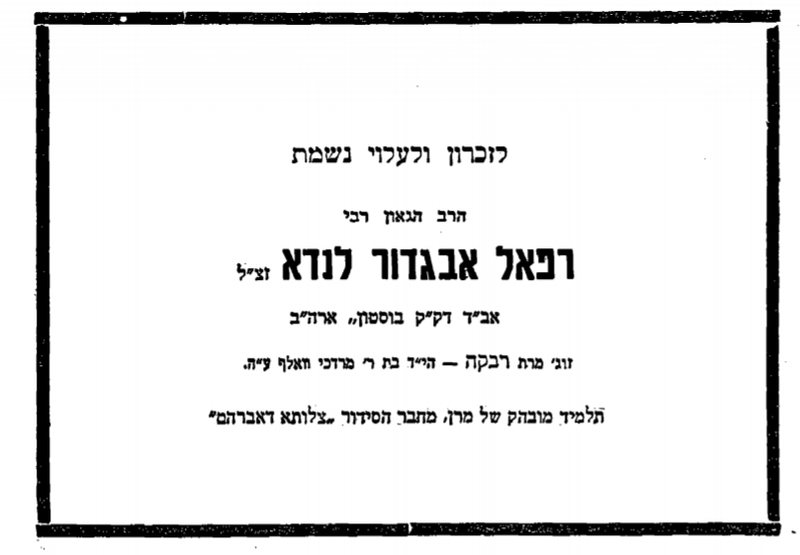 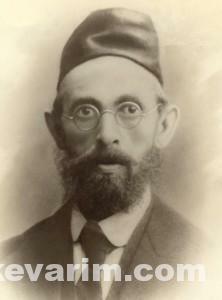 The Rav Was born in Shpeishuk, a small village near Kovno, Lithuania where His father Rav Chaim Zev server as Rav. 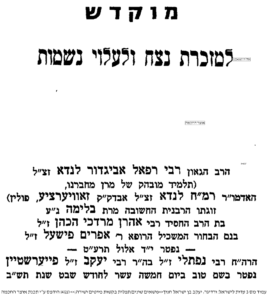 At the young age of 8, the Rav was sent to the yeshiva in Eishishok to study. 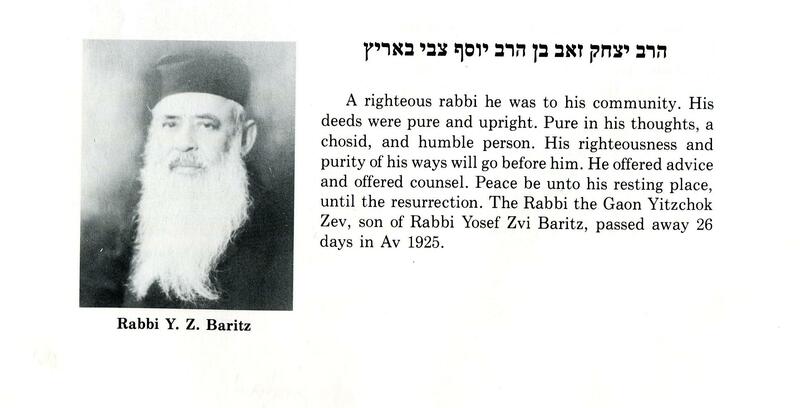 His After bar mitzvah he Traveled to Jerusalem where he Entered the study hall of Rav Yehoshua Leib Diskin, Diligently studying for five years. 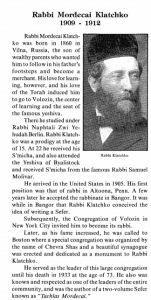 In 1890 he returned to Europe and settled in Dvinsk where he became a disciple of Rev Meir Simcha HaKohen. 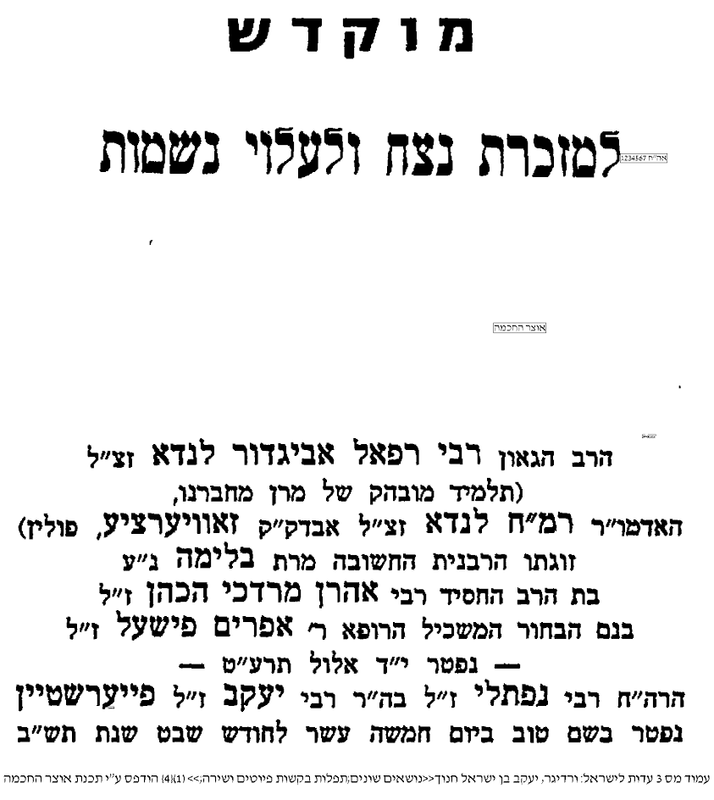 Two years Later Around Was he appointed the Rav of Kosherdari and soon after Frankfurt am Main. Due to His Lack of success n Germany, he Traveled to American and Settled in Boston, Massachusetts where he Was appointed as Rav and an authoritative member of the Agudath Harabonim. 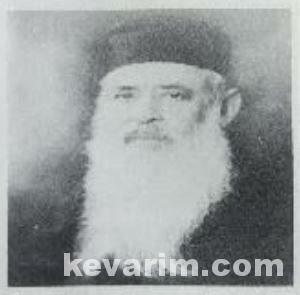 Among His writings are China Dchaye (Pietrokov, 1908), Lirtzonchem Tizbechuhu (Pietrokov, 1908), Olah Lyafeh (Pietrokov, 1911), and posthumously Taanugei Yisroel, 2 Vol. 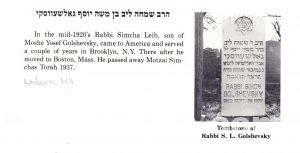 (Brooklyn, 1981), Kedushas Bas Yisroel, (Brooklyn, 1982), and Yad Yisroel (Brooklyn, 1985). Addition the Rav In Was a regular contributor to the Hapardes Rabbinical Piratical.